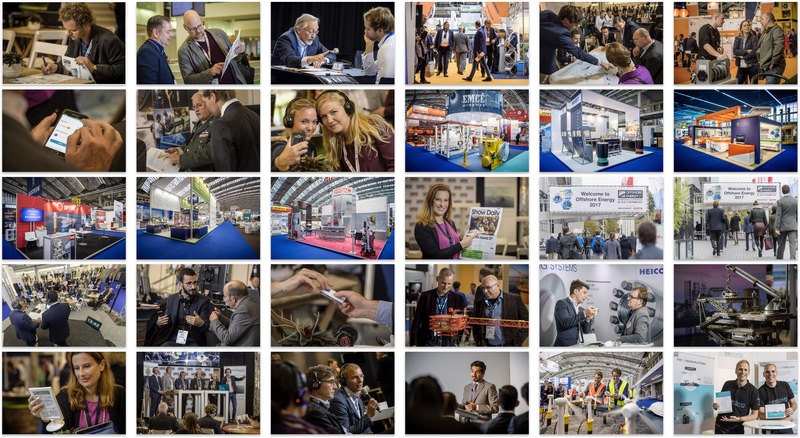 Overview of the exhibition and conference. 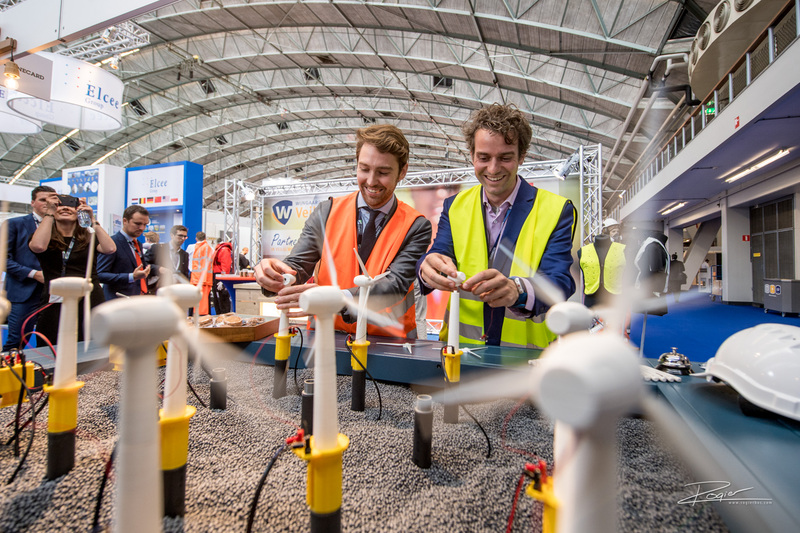 Just thought I’d show you some images of a tradeshow I photographed this week: the Offshore Energy exhibition and event in the RAI, Amsterdam. I always enjoy exhibition photography: there is so much going on at the same time. You meet a ton of people; it’s colourful; and I get to know a whole new industry. It’s like a new world opening itself up to you! Here are some things that stand out to me as I think about exhibition photography in general. Do you want really good pictures of your exhibition? Give me a number of assignments, but allow for plenty of space in the schedule also. Neither approach really works. If you have me running around like a chicken with its head cut of, I am going to miss the wonderful opportunities that present themselves along the way. Photography is a matter of waiting, and looking, and calibrating… send me from one place to the next as fast as I can, and I am just going to go click and then pack up my gear and go to the next place. My pictures will be mediocre, but not outstanding. But the opposite doesn’t work either. Just let me roam freely, and pretty soon I won’t know what I am looking at anymore. A trade show is a whole new world, and in that world I don’t know what is important yet, and what isn’t. You are going to get the best pictures from me if you give me assignments through the day, but allow for quite a bit of flex time in between. Your schedule will force me to move on, and to move from one place to the next, but the in between time will allow me to collect the actual gems. I see this time and again: a client uses an image I’ve shot at last year’s event on the poster and front cover of this year’s magazine. Invariably it’s an image I shot ‘in between’ — and that’s the one the client thinks is the most characteristic. A good example of a picture that I just stumbled upon. This picture says it all: it shows the location (the arches of the RAI); it shows happy people (in suits and yet industrial); in the back ground you the exhibition going on; and in the foreground you see the subject matter of the trade show: windmills producing offshore energy. I enjoy the war room. Every event has one. It’s where the organizing team meets. It’s where problems are discussed and solutions are discovered. 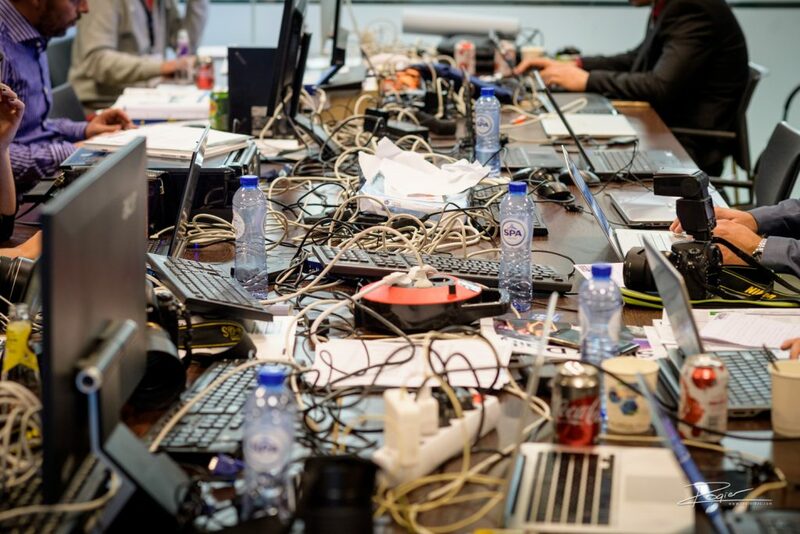 Often times the organizer will keep me out of the war room, because I have no business there. The photographer, it is reasoned, is peripheral to the organisation. Sure, he is. An example of useful info I can give you: your guests are complaining the volume is too low; they can’t hear the speaker. But you see, I need information. I make the best pictures when I know what is going on, and where. If I know the event location has put down the wrong color carpet in the main hall, I can avoid photographing the floor at all. If I know two companies have brokered a deal and this will be announced with champagne in booth 15 at noon, I can be there ready to photograph the announcement and the celebration. If I hear that the director of company X is unexpectedly in the hall, I can make sure we get a picture of him. Not only that, but I can be helpful also. It happens every day. I can alert you to problems (the toilets are locked or there is a really cold draft over there and the standholders are freezing); after all, as your photographer I roam the entire exhibition. I speak to people; I hear lots of things. You’re busy with the event, but I am just observing. I can be quite helpful! I can also convey messages (please tell Jack to turn his phone on; I can’t reach him) or tell you what I’m hearing (the attendees were really impressed with that presentation or people are confused by the signing). The point is: see me as part of your team. Push me to the periphery, and I won’t know what’s going on, and you won’t have the benefit of my helpful assistance. Which wire is mine? Hard at work in the war room. But you can shop logo’s in, can’t you? someone might respond. Certainly — and I am happy to do so. But that’s a different job, and is not included in the photography. The point is: sometimes clients have me photograph stuff that just isn’t there. And that’s hard to photograph. 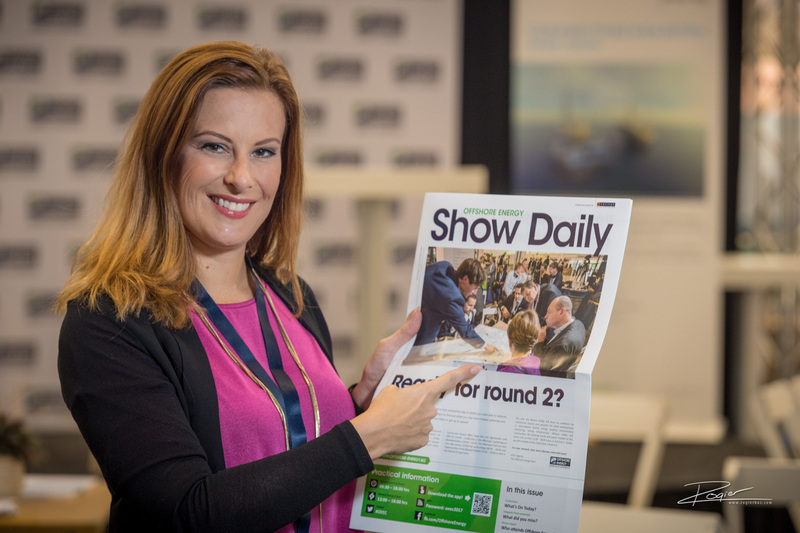 The organisation had planned for a different shot on the cover of their exhibition daily. But my shot said everything they wanted to say, so they selected it instead, and printed it page wide.